These four types of individuals are to be found existing in the world. Which four? There is the case of the individual who has attained internal tranquility of awareness, but not insight into phenomena through heightened discernment. There is... the individual who has attained insight into phenomena through heightened discernment, but not internal tranquility of awareness. There is... the individual who has attained neither internal tranquility of awareness nor insight into phenomena through heightened discernment. And there is... the individual who has attained both internal tranquility of awareness & insight into phenomena through heightened discernment. The individual who has attained internal tranquility of awareness, but not insight into phenomena through heightened discernment, should approach an individual who has attained insight into phenomena through heightened discernment... and ask him: 'How should fabrications be regarded? How should they be investigated? How should they be seen with insight?' The other will answer in line with what he has seen & experienced: 'Fabrications should be regarded in this way... investigated in this way... seen in this way with insight.' Then eventually he [the first] will become one who has attained both internal tranquility of awareness & insight into phenomena through heightened discernment. As for the individual who has attained insight into phenomena through heightened discernment, but not internal tranquility of awareness, he should approach an individual who has attained internal tranquility of awareness... and ask him, 'How should the mind be steadied? How should it be made to settle down? How should it be unified? How should it be concentrated?' The other will answer in line with what he has seen & experienced: 'The mind should be steadied in this way... made to settle down in this way... unified in this way... concentrated in this way.' Then eventually he [the first] will become one who has attained both internal tranquility of awareness & insight into phenomena through heightened discernment. 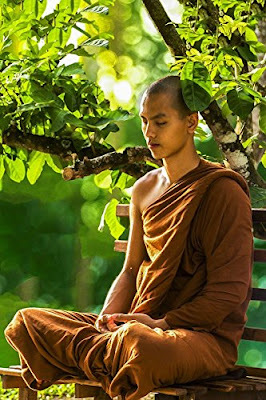 As for the individual who has attained neither internal tranquility of awareness nor insight into phenomena through heightened discernment, he should approach an individual who has attained both internal tranquility of awareness & insight into phenomena through heightened discernment... and ask him, 'How should the mind be steadied? How should it be made to settle down? How should it be unified? How should it be concentrated? How should fabrications be regarded? How should they be investigated? How should they be seen with insight?' The other will answer in line with what he has seen & experienced: 'The mind should be steadied in this way... made to settle down in this way... unified in this way... concentrated in this way. Fabrications should be regarded in this way... investigated in this way... seen in this way with insight.' Then eventually he [the first] will become one who has attained both internal tranquility of awareness & insight into phenomena through heightened discernment. As for the individual who has attained both internal tranquility of awareness & insight into phenomena through heightened discernment, his duty is to make an effort in establishing ('tuning') those very same skillful qualities to a higher degree for the ending of the effluents*. *Effluents: Mental effluent, pollutant, or fermentation. Four qualities — sensuality (sensual attachments/cravings and aversion), views (false views pertaining to self and other related extreme views), craving for becoming, and ignorance — that "flow out" of the mind and create the flood of the round of death and rebirth. Update: Sorry, conversation removed from blog by request of Thusness. John: actually what is more important is that background is completely gone. Then when the background is completely gone, you do not have a behind, only the sound. Then your experience becomes most direct, cannot be more direct. Then when you hear the basketball sound, bum bum bum.. only. You understand what I mean? Initially even if you have seen through, there will always be a tendency – you and the basketball. I ever went through a period where I thought that I will not have that problem anymore. After about three months later, it comes back. Then I wondered why does it come back after I have seen through? Then after that, the tendency (comes back?). for yours (me) it is quite clear, because lucid dream until one can control the three states, it is quite deep already. After the initial insight one needs 4-5 years to have that kind of calibre, you see? So some people are different. So it is sufficiently deep into the mind body tendency. For me, three months after (?) it has a dual sensation, then after still a period (?) after. John: In your experience now, your self at the behind will be gone. But you are unable to reach completely mind to object (one pointedness). But your behind disappears. 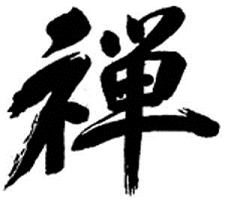 But to zhuan zhu yi ge (focus on one/one-pointedness?) you are unable to reach, that requires Samadhi state. That is, that behind is gone, but you are one pointed into one object, then with view you will experience maha experience, total exertion. He (me) is also the same, the behind is gone, no more self, only the sound but there is no self, there is just this, there is just that. That is because the insight has arisen but concentration (?) my way is different. Before insight of anatta I had decades of practicing meditation, then I AM, then meditation, then I AM. My practice is like that. (?) but for you guys, you see clearly first, the behind is gone and your experience becomes very clear and vivid and yet you are unable to concentrate. So you must understand that concentration is different. Peacefulness and releasing is (different), clear vivid awareness is also different. It requires different insights and practice. You still have to meditate, it is impossible that (?) you should be in this stage, you are very clear, the click click sound is felt to be very vivid, then one day you will have total exertion feeling, but you must practice releasing and concentration. When the mind is discursive and wandering, you need practice. your mindfulness/thought needs to be practiced. You need to have a stillness/Samadhi. (to me) Your stillness is still not enough. Your mind is still having thought after thought, you are unable to have stillness. But your insight is able to reach no self. You are still unable to reach stillness and releasing. It is not a matter of saying then you can reach it, it requires practice. Me: best way is to practice vipasssana? John: Vipassana … when it becomes non conceptual and non dual, it is even more difficult like for you, your insight is there, there is no self, yet when you sit you are unable to reach it. Because you need to focus. You need to focus your breath, (otherwise?) unable to reach it. For normal people they are able to reach it even easier. For you it is somewhat more difficult. So I always tell you, for example, for you and him the way of entering is by clear luminosity… feel as clear as possible. For example when you breathe, feel your breathe entirely. So you feel very very clear, just this breath you know. Then you feel the vividness. It is easier to enter this way. Me: so you are advising Anapanasati? John: yes of course, then you do many times. But when you do many times you are not counting. Don’t count. Just feel the entire sensation of the breath. You are just that sensation of your breath. Then you are so clear with your entire breath. That whole aircon that touches your nostrils, then going into your lungs. It is just this sensation. This is what we call breath. So you keep on doing. You are very aware of it. Actually it is not you are very aware of lah. This is what I call awareness and the whole thing is awareness, there is no somebody awaring. It is just breath. Then slowly you will have this (Samadhi? ), you need to keep doing. "In the early period of Budddhism, there were two yānas, śamatha yāna and vipaśyāna yāna; beginners went to Śariputra to training in vipaśyāna for stream entry; then they would go train in śamatha with Maudgalyana for further progress. Lance Cousins wrote a very interesting article about this." Hey Soh, you have written very much about your development of insight practice. What would be interesting for me is to know how important shamata was for you. Through all the stages, have you practiced constantly? Always the same routine, daily, how long? I read the conversation between you and Thusness, but still would be cool if could tell more about it. Would you consider that for example I Am realization or other insights aren´t possible without a certain amount of concentration and equanimity? What is then mastery? Does it mean that someone has to master the Jhanas? And what I also not really understand, the difference between the nature of mind or I AM or Rigpa and also the Jhanas. If you realize I Am or even Anatta, do you still need shamatha? Gracias, that´s very helpful! Now I know what to do.